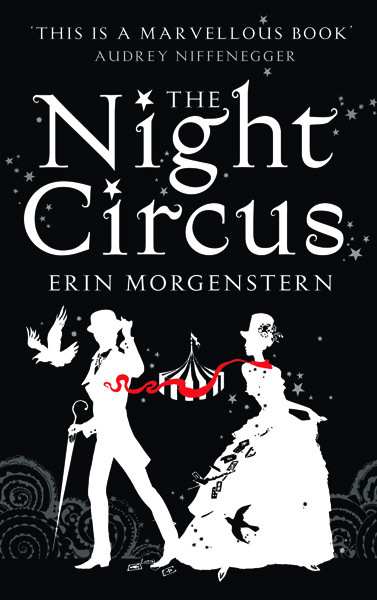 I started reading The Night Circus with one of the worst things that you can have when reading a book – high expectations. Until recently I didn’t have many opportunities to read English books, but even when I was trying not to keep up with books too much (it would have just made me sad), I heard a LOT about how good this book was. So of course, it was one of the first books that I picked up once I started buying English books again. I figured that it would be right up my street, as circuses (at least, ones which don’t hurt animals!) = yay (um, apart from clowns). I also have a thing for the slightly more gothic side of life, which I figured this would be. I also used to have a HUGE thing about the Victorians… I even had a Victorian themed birthday party when I was 9 or 10... yeah, I was weird when I was little. Because I'm sooo normal now. Anyway, I assumed that this would be right up my alley. The main thing was that it took me a LONG time to get over the fact that parts of it are written in 2nd person. As soon as authors start saying “You are blah blah blah” it automatically makes me think “No I’m bloody well not!”, haha. Stupid, but hey. Maybe if I read it again and managed to ignore that, I would like it more. I also generally need a good plot, and I think most things in this book were a bit too.. vague for me. I mean there’s being vague because you want the reader to figure stuff out, and there’s being vague because you aren’t entirely sure where the story should actually go, and I felt like the plot was just an excuse to write lots of descriptive sections… which is fine, but that’s not really what I read for, you know? I want something which makes me feel something about the characters, and I ended up not really caring about anybody in the book. Oh well? I’m pretty sure I’m in the minority on this one, and I’m also pretty sure that if I hadn’t heard any hype I wouldn’t be as disappointed with it as I am. Because it is good, but I don’t think that it’s anything more than that. I don’t really get why it’s had so much praise heaped on it. That being said, I will read anything else that she writes. Hopefully next time it'll have a stronger plot!! I don't think you're that much in the minority on this- Practically every review I've read has just said 'yeah, it all sounds pretty, but the characters and their actual stories are a bit meh...' and, yeaaaah, I can't really argue with that. All I'll say is that the descriptive passages just really did it for me, so even though now I can't tell you much about what actually happened, I CAN tell you a lot about the circus. So that kind of made the book for me. I can understand that too!!! It's nice to know that I'm not alone, hehe. I was annoyed because so many of my really good friends loved the book so I really wanted to love it as well! :( Boo!